There is a time and place for cheap, chain-restaurant style pizza. There is also a time for gourmet pizza. What constitutes gourmet pizza from cheap pizza is subjective and debatable. But when I’m by myself or dining out with friends, I love pizza with quality ingredients, made with fresh mozzarella on a crispy, thin crust -extra points if the crust is also a bit chewy. And when I’m not eating pizza with my husband, I always order vegetarian. I love meatless pies. Sometimes my urge to eat good pizza happens when I least expect it, like finding a $5 bill in my coat pocket I haven’t worn for months. While grocery shopping today, I wanted pizza. Not just any pizza, good pizza. Being inspired by all the fresh produce in the store, I decided to make myself a chantrelle mushroom and sauteed kale pie. For a a split moment I contemplated on making it on a baguette sliced in half. Then I was lured by pre-made refrigerated pizza dough which the person behind the deli counter unconvincingly tried to sell me. Then I saw a bag for whole wheat, flat pita bread, not to be mistaken for regular pita, which I knew would be just perfect for my lunch. For the sauce I decided on fresh bruschetta I found in the salad bar. I thought the bigger chunks of tomato would add more height and weight to my meal. 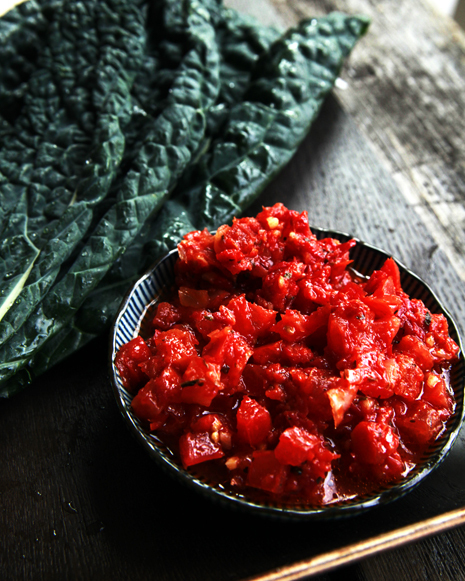 The idea of eating chunks of garlic infused fresh tomatoes, chantrelle mushrooms, and kale made this carnivore very happy. I love meat but I also eat meatless a couple days a week. A few months ago I had a reader email me asking why I didn’t promote eating more vegetarian or officially participate in Meatless Mondays. I thoughtfully responded to this person letting them know that I do, in fact, eat meatless a couple days a week and that most of the recipes on this site are vegetarian in nature. I also confessed I wasn’t organized enough to post vegetarian recipes on Meatless Mondays because I don’t work on a schedule. But here I am on a Monday with a meatless recipe. This is progress! I love this pizza for several reasons but here are just a few. The size of the pita bread makes for a perfect individualized portion and when slightly cooked on both sides, yields a crispy crust like gourmet pizzerias serve. The bruschetta, kale, and chantrelle mushrooms compliment one another so perfectly – earthy, meaty, fresh, and substantial. Fresh sliced mozzarella is a must. I love biting into big chunks of melted cheese, don’t you? 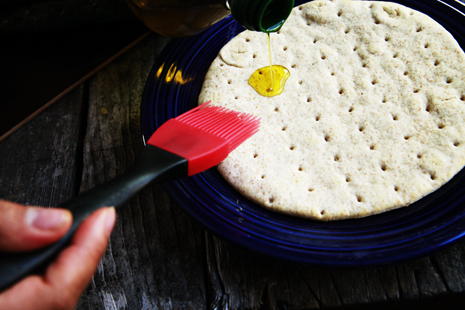 Brush 2 teaspoons of olive oil on each side of the pita bread. 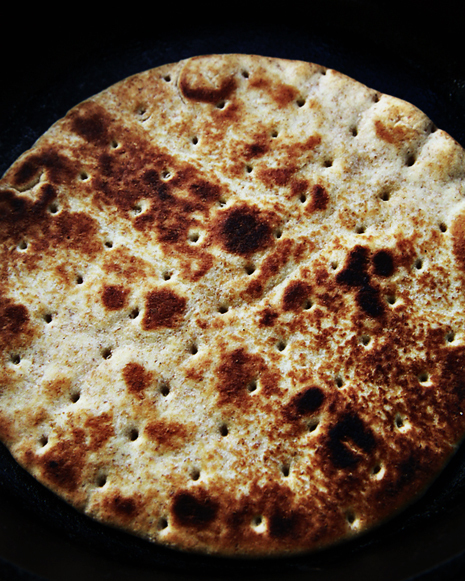 On medium-high heat, fry each side of the pita in a skillet or frying pan for 45 seconds on each side or until crispy. Remove from pan and set aside. 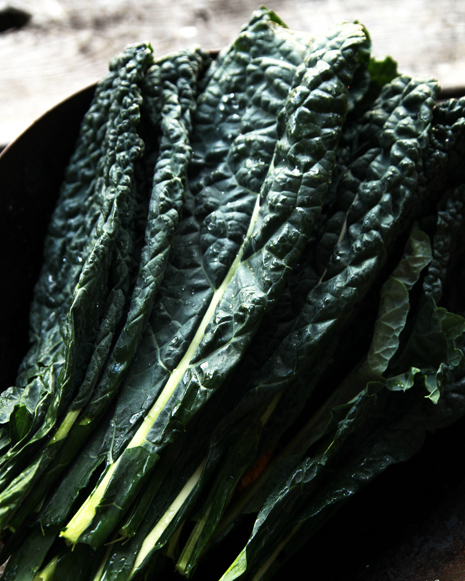 Remove kale leaves from the center stalk and tear in small pieces. Using the same skillet as the pita bread, add a teaspoon of olive oil to the pan and saute leaves for one minute, just until wilted. Add balsamic vinegar and a pinch of salt and pepper. Saute for thirty seconds and remove kale from pan. Saute mushrooms for two minutes. Remove from heat. Heat oven to high broil. Spread bruschetta on one side of the pita. 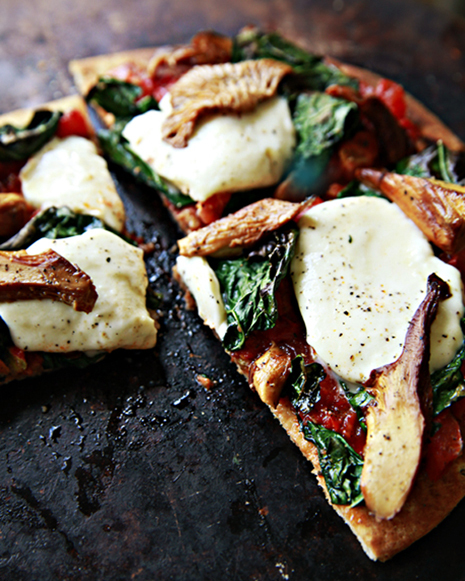 Add kale, mozzarella, and mushrooms. Broil pizza for 1-2 minutes until cheese is melted. Remove from heat and serve. 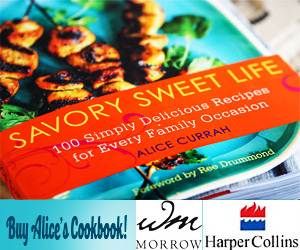 « Bakerella Cake Pops Cookbook Giveaway! Have you ever tried this with Naan bread? FYI this is my first day on your website and I’m addicted already. This was superb, very woodsy and dark. I was unsure how it would taste because I have had neither kale nor chantrelles on a pizza. I used buffalo mozzarella, added a little chardonnay to greens and mushroom as needed, I chopped 1/2 small yellow onion before kale added to pan.It was totslly delicious and sophisticated. Loved it! Wow, that looks simply gorgeous and is a fabulous idea. 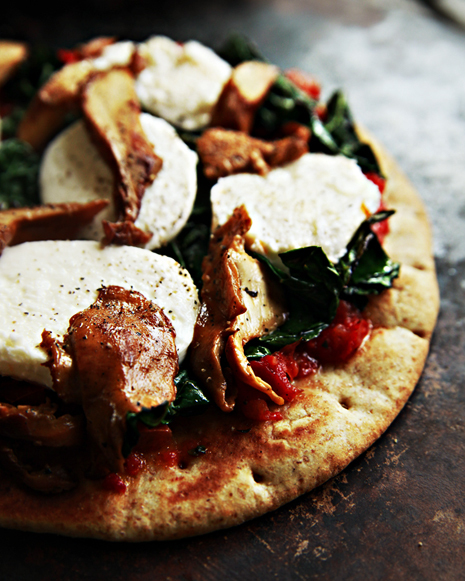 I’ve always been a fan of pita bread as a quick solution to pizza, but the toppings seem like a perfect accompaniment. 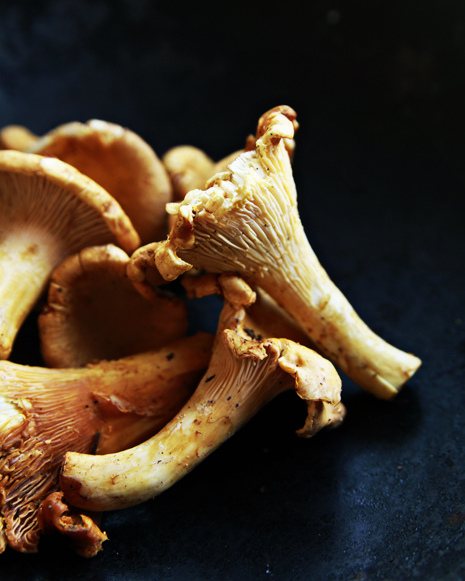 I wish we could get fresh chanterelles where I am, I’ve never tried them before and they look delicious. Cheers for a fantastic post. 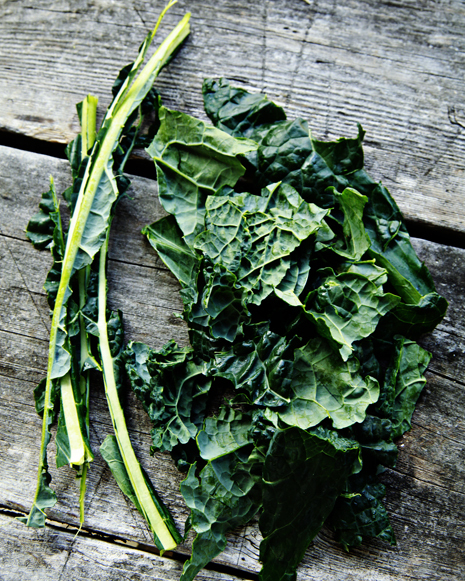 Kale is my new veggie friend, so tasty! Great pizza and love how it is for one. That looks amazing. I love the idea of using a pita bread as the crust. That pizza looks phenomenal. 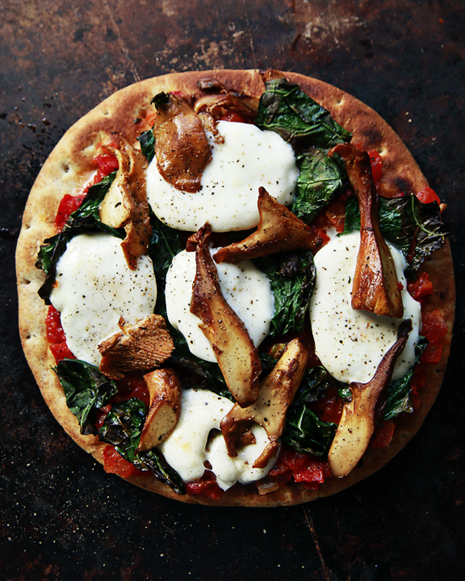 Kale on pizza is one of my favorite toppings… I was actually thinking of making some homemade pizza for dinner tonight! Oh my goodness, this looks AMAZING! So thanks…it’s 12am and I am craving pizza! 🙂 Love all your instructions and details on the recipe. I like to make pizzas on Saturday nights, I might have to try this this weekend. This pizza looks like a work of art. I almost wouldn’t want to cut into it if I had it in front of me. But it looks too delicious not to. Yum! And so quick to put together too! I can taste that kale and mushroom together already. Great combo. Beautiful photos. I’m putting this one on the must-try list. These photographs are absolutely lovely. And the pizza sounds completely delicious! Do you use a pizza stone with the pita or just a regular baking sheet? What a beautiful pizza and all the pictures look gorgeous. You make everything look and sound so appetizing, Alice! Oh wow…I have to say this…Im pretty much drooling at the sight of that pizza…it looks SO delicious…now I’m craving pizza…what’s a girl to do? 😉 Thanks for this, I adoreeeeeee your pictures. They make me happy! This looks wonderful; I LOVE your recipes and the photos. Beautiful photos, Alice! I, too, enjoy vegetarian pizzas when high-quality ingredients are used. 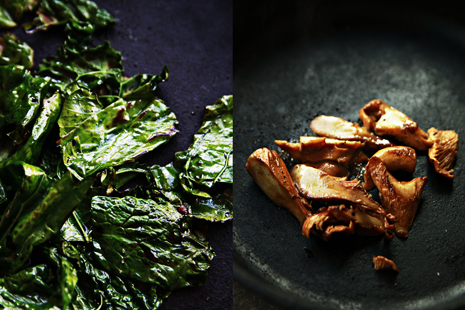 The combination of chanterelles and kale not only sounds really good, but it’s healthy. Love it! ohh this pizza looks so tasty! LOVE all the ingredients. That looks simply divine Alice!! I’ll take 10 thank you very much!